KIRKUK (IRIN) – Iraq is congested with armed men: Kurdish peshmerga in the north; forlorn Iraqi army troops strung across the country; ascendant Shia militia groups and volunteer Popular Mobilisation Forces in the centre; and, of course, fighters from so-called Islamic State in the west. Civilians travelling through Iraq meet these disparate forms of authority at road checkpoints. They control who moves, who is allowed where. One group finds it harder than others to navigate this treacherous landscape and settle – Sunni Arabs. The slaughter and abuse of members of the far smaller Yazidi and Christian populations have drawn the world’s attention, but the majority of Iraq’s 3.2 million internally displaced people are Sunni Arabs who fled their homes when IS arrived. For them, sanctuary is elusive. Their heartlands are mostly on the frontline or in areas under IS control, while hostility from Shias, Kurds and others make it difficult for them to establish new lives elsewhere. They are far from unified, but the vast majority do not support IS, even if, nominally at least, they belong to the same branch of Islam. “Give us guns and we would fight them now,” one Sunni sheikh from Salah al-Din governorate, north of Baghdad, told IRIN. Despite this, other communities often regard Sunni Arabs as IS sympathisers. Given the constant insecurity, authorities manning checkpoints through to areas of safety are also less willing to let them in. “Capitalising on forced displacement caused by war is not an acceptable way to settle old scores,” commented Christoph Wilcke from Human Rights Watch. But many armed groups are doing just that: taking over Sunni Arab land after pushing IS out. Displaced Sunni Arabs don’t generally seek shelter in majority Shia southern Iraq; rather they head for the capital Baghdad, the northern semi-autonomous Kurdistan region and the disputed province of Kirkuk. Thirty-one-year-old Hiam lived with her widowed mother, diabetic sister Anaam and brother Moyad – who had learning difficulties – in the town of al-Dour in Salah al-Din, a majority Sunni Arab governorate. Last summer, IS arrived. The family was too poor to flee so it submitted to life under the Islamist militants despite the tough conditions. In March this year, the Iraqi army and allied Shia militias attacked IS in the city. The head of Iraq’s notorious Shia militia, the Badr Organization, announced on television that anyone found in IS-held villages would be considered a militant. There would be no mercy, he said. Fearing they would be slaughtered, Hiam and her extended family fled from village to village within IS-held territory, staying just ahead of the army’s advance. They were trapped. Families attempting to leave were being stopped at IS checkpoints, accused of cowardice. They ended up in Hawija, an IS stronghold in northwest Kirkuk governorate, where food was scarce. The militants often detained Hiam’s male relatives. After three months, the families couldn’t bear it any longer. They sold everything, from their gold jewelry to their car, and paid a smuggler one million Iraqi dinars ($840) to get them out. Driving by night to evade IS patrols, they eventually reached the barren Hamrin Mountains. From there, they could walk to government territory. “My mother told Moyad, ‘Don’t be sad, think of it as a picnic – be patient and we’ll get there’,” said Hiam. But the trails through the mountains had few markings and soon the family was lost. In the dark, panic spread that IS might find them and the group split. Hiam and Moyad were separated. By the next morning, their water had run out. Marching forward in temperatures of 40 degrees Celsius, Hiam’s cousin made her five-year-old daughter drink her own urine to stay alive. “The sun was killing us,” Hiam said. Help arrived the next day. Ironically, it was the Iraqi army, from whom they had fled three months before, who came to the rescue. “We were relieved,” said Hiam. “But we didn’t know anything about Moyad.” Then a soldier showed her a photograph on his phone. It was her brother’s body. He had succumbed to dehydration and exposure. With al-Dour still occupied by a Shia militia, Hiam’s family waited in Samarra city for more than a month. Finally, at the beginning of August, the militia allowed people to start going home. At last, they returned home. But once they got there, Hiam said, they found a “tragedy.” Most of their belongings had been stolen and the house had been torched. The route taken by Hiam’s family. Mouse over the orange dots to get more information. Their ordeal was awful, but Hiam and her family have been more fortunate than many others. Thousands of Sunni Arabs have no way of returning to their homes or nothing to return to. At the same time, the places they found to shelter in no longer want them. Take Sa’ad. He pushes an ice-cream cart around Kirkuk city, one of more than 408,000 displaced people living in the governorate, according to figures from the International Organization for Migration (IOM). Like Hiam, Sa’ad is originally from Salah al-Din. After defeating IS, Shia militias took control of his area. Whilst credited with pushing back IS and protecting Baghdad, these fighters are feared by many Sunnis like Sa’ad, who worry they will be subjected to retribution. Agents of the Kurdish intelligence service, the Asayish, have told Sa’ad his family must leave Kirkuk by 1 September and confiscated his identification documents until they do so. To understand why there is such hostility to the displaced in Kirkuk, you need to look back 20 years. Lying south of the semi-autonomous Kurdistan region, the city is disputed between Arabs, Kurds and Turkmen. Former dictator Saddam Hussein attempted to “Arabise” the city – encouraging thousands of Iraqi Arabs to move in and settle. Under Saddam’s era Sunni Muslims also held disproportionate power. Kurds have moved back in since Saddam’s overthrow in 2003, but Kirkuk has remained part of federal Iraq. 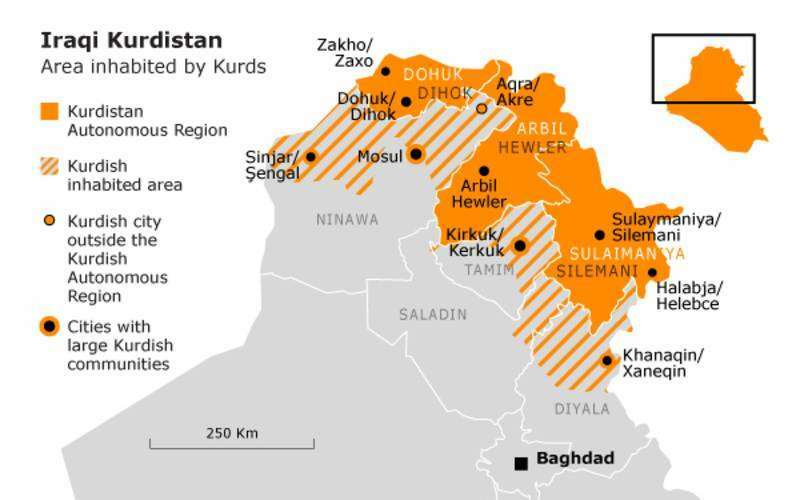 Whilst Kirkuk, Diyala and Ninewa governorates technically belong to Iraq’s central government, maps produced in Kurdistan often show the Kurdish region’s borders straying southwards to encompass much of the territory. A promised referendum that would allow residents to choose who they wanted to be ruled by has never taken place. The IS advance shifted the balance of power again. The Iraqi army withdrew, allowing Kurdish forces to take control of Kirkuk. As one humanitarian put it, the Kurds now have “facts on the ground”. At the same time, hundreds of thousands of displaced Sunni Arabs from Salah al-Din and Diyala flooded in. In June 2015, Iraq’s interior ministry instructed local authorities to grant new local residency permits to internally displaced people who had lived in their new location for five years. In Kirkuk, where many fear a return of Arabisation under a different name, this was rejected as unconstitutional. Some 22,000 displaced Diyalans are sheltering in Kirkuk, according to IOM. Article 44 of Iraq’s constitution grants Iraqis the right to freedom of movement, but the official response is pretty unequivocal: the displaced must go home. On 23 August, Kirkuk’s provincial council ruled that people displaced from Diyala and living in Kirkuk would have one month to leave Kirkuk governorate. Fierce fighting in Diyala dislodged IS in December 2014, although the governorate has remained dangerous. While Kirkuk’s infrastructure is overburdened, many suspect an attempt to protect the Kurdish-leaning demographic. Most displaced people from Diyala are Sunni Arabs. 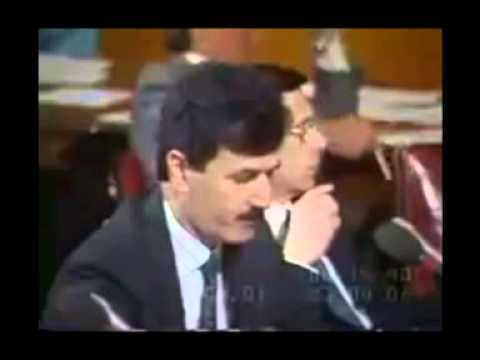 A quarter of a century ago, Najmaldeen Karim appealed to the US Congress to help Kurds persecuted by Saddam’s Ba’athist regime. Now governor of Kirkuk, the charismatic politician met with IRIN the day after the decision to expel Diyalans from his governorate. “Overall, the response from the federal government, from international NGOs has really not been good,” admonished Karim, saying that the lacklustre humanitarian effort had left Kirkuk struggling to host 110,000 families. While Karim insisted “nobody’s being forced to go back,” IRIN suggested that taking people’s documents and telling them to leave Kirkuk did not look much like voluntary returns. “I think if their place is ready for them to go back, there shouldn’t be a choice,” responded Karim, who pointed out that unless people return to Diyala, the governorate’s battered infrastructure would remain unrepaired. Although some families had returned to Sadiya in Diyala, most had been unable to stay there because of the lack of services. Perhaps this is an indication that the displaced people themselves know best when it’s ready for them to go back? Not according to Karim. “Listen, Sadiya is a small town in Diyala province,” he said. “Diyala is a big province. There are other cities. “Why don’t they go to Baquba?” asked Karim. But a Baquba resident and aid worker told IRIN the situation was “still unstable” there with routine “assassinations and kidnappings”.